The Vampire Diaries apparently wants Stefan (Paul Wesley) to learn the hard way that being human isn’t all it’s cracked up to be. I couldn’t help but laugh along with tonight’s episode as Stefan is thrown into the body of an alcoholic murderer after the phoenix stone was destroyed. Clearly, the only thing that could make Stefan the “damsel in distress,” as Damon (Ian Somerhalder) put it, in the brothers’ relationship is an alcoholic, human murderer in the process of freezing to death. Otherwise, Stefan is the hero and Damon is the troublemaker. The tables were definitely turned tonight. Which was good, since Damon had some serious redeeming to do after he left Stefan hanging with that X on his chest from Rayna. This was a good episode to remember that the brothers really are at the heart of the show. And I was ready for some really good, witty one-liners from Damon, which we definitely got tonight. Aside from the damsel in distress line, Damon also had a poignant moment at the end of the episode. And Stefan, in turn, finally voices the pain he has at never being Damon’s priority. Stefan has saved Damon time and time again, yet Damon would turn his back on Stefan in an instant it seems. Damon wants to get his brother back into his rightful body — which means Stefan should eat a lot more of those donuts while he can. Because Damon is on a mission for his brother, and I have a suspicion that, this time, he won’t fail him. 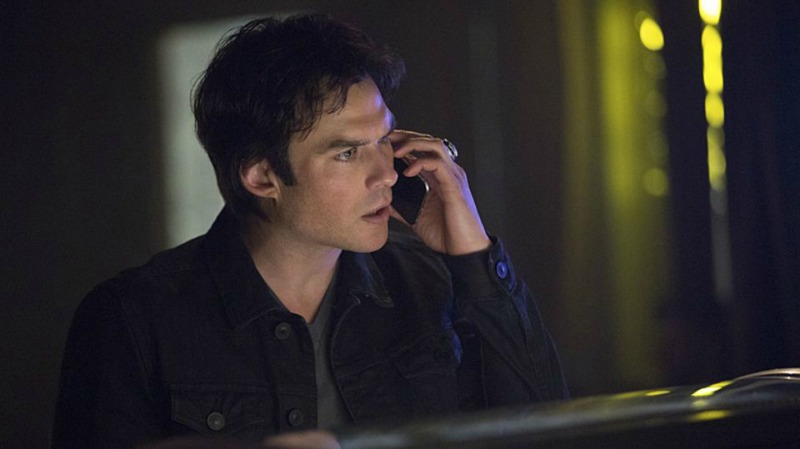 Did you think tonight’s episode of The Vampire Diaries was the most heartwarming episode so far this season?